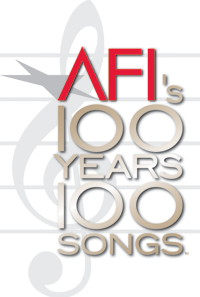 100 Songs is a list of the top 100 songs in American cinema. The list was unveiled by the American Film Institute June 22, 2004. "Let's Call the Whole Thing Off", Shall We Dance? "Come What May", Moulin Rouge!